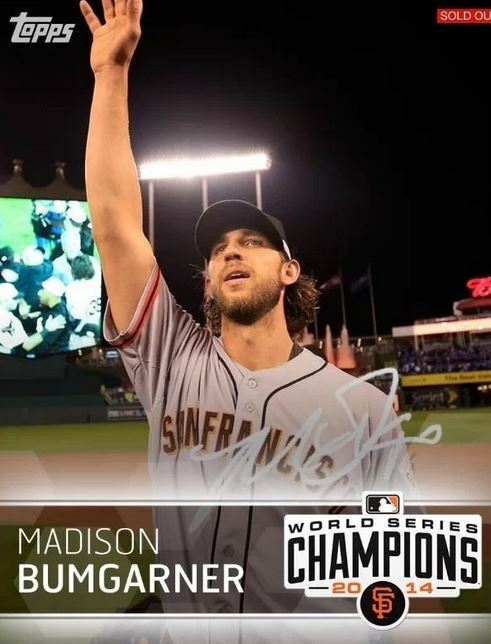 Right now, Topps Digital is riding high in many different ways. The apps are bustling ahead, and growing steadily, and the cards themselves have never looked better. Although technical issues prevent many users from truly experiencing a great existence in the app, things are going well as a whole. That being said, there is no doubt that some things that I feel we need more of, and I am curious if they could take things to the next level. Really make a splash. I want to discuss a few. When you look at an app like Star Wars, the parallax effect is something that could REALLY have a hugely awesome impact on the way a chase card looks. Being that many of the cards already looked like they have a layered approach, a parallax look could really make things pop. Granted, Parallax takes a ton of time, and its likely that SW’s content process may not support the length it would take to make the card work within the confines of the release schedule. Bunt, on the other hand, should be using this effect more, and its disconcerting that they have moved away from it. Its possible that they felt the investment of resources wasnt worth the return, but those Parallax sigs are just amazing. I have to believe that there are a lot of potential uses for the effect, and I hope it comes back. 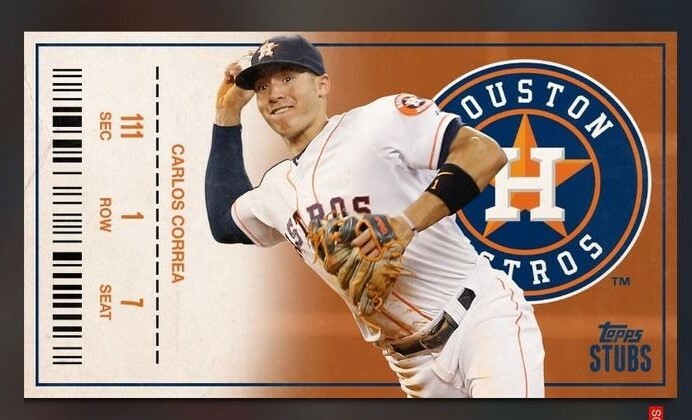 If you havent seen some of the art that is available in Topps physical products, mainly in the sketch cards, I think you are missing out. For reference, I am NOT referring to sketchbook type things, like we saw with the recent set. 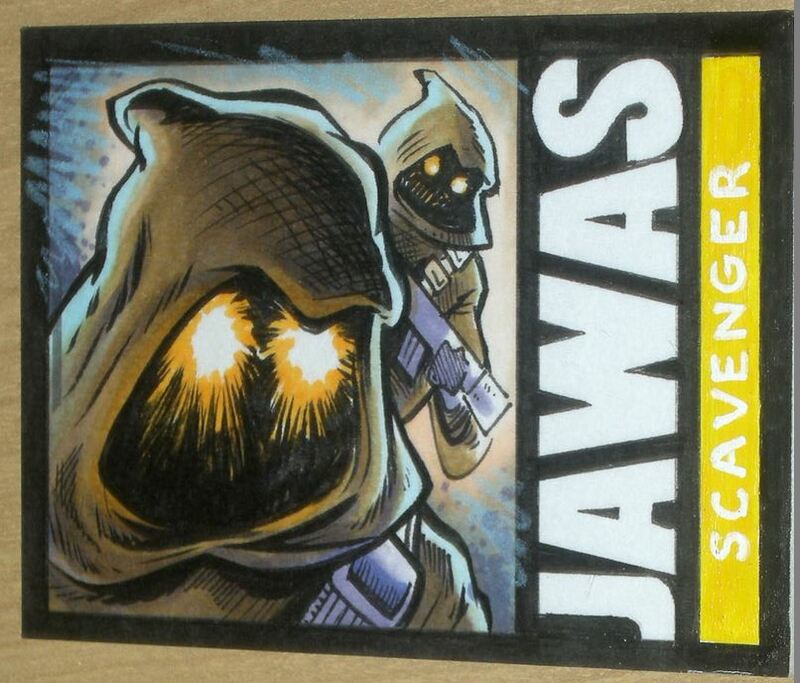 I am talking about comic artists using a standard card sized canvas to create Star Wars art. 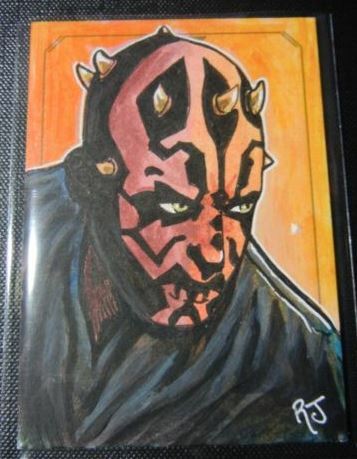 I remember seeing that for one of the Star Wars Masterworks products – which are awesome by the way – someone even took old Topps baseball designs and made them into Star Wars character cards. I want more stuff like that. Before you read this paragraph, go check out the most recent set in Bunt. Its called Stubs, and features specially “die cut” cards made to look like Tickets to a game. It is one of my favorite insert sets of the year, and its only available in Bunt. Other cards have fit this mold too, as I feel that TOPPSDAN has some strong design game when it comes to this type of stuff. Too often I feel that Bunt relies on physical card sets to fund the content in the game, and that is too bad. I say its too bad, not because the digitized physical sets are bad – only because it is another opportunity that Dan did not get a chance to work his magic. When you see the Legend sigs, Flamethrowers, and other Bunt exclusive sets, its hard to thing anything other than Dan, Neil and the team knocked it out of the park. I realize original content takes time. I also realize the league probably has to look at the concept and make sure it fits their brand. This is standard. I am pleading to use as much of Bunt’s resources for more time spent, even if it means fewer releases each week. I remember back last year, there were a few times where Huddle and Bunt released a card that stood alone as a chase. It wasnt part of a set, it was just the card by itself. It was desirable in that it usually was cool enough to be an event within the game, and I hope that we can get something like that again this year some how in both apps. A one card chase says something about what the app team feels about the strength of the cool factor. It says, we think this this is so freaking cool, that it doesnt need anything else to stand by it. There doesnt have to be a reward, as owning the card is the reward. Im also not advocating for more 1/1 content, instead the opposite. Make it cool enough that it doesnt have to be low count to be valuable. Hard to accomplish in some cases, but there are ways to make it work. Star Wars and Huddle have been at the front of the line for really interesting pack strategies, leveraging less straight ripping and more strategy into the way packs are opened. Its hard to find consistent joy in sitting down to open the same packs day after day. Eventually the base cards become unimportant, and you dont even sort through the pack when you open it. Just swipe up and move on. I would like to see Bunt take some risks. Because of some of the issues at play with Contests, its almost like they have forgotten to liven it up a bit in the way cards are released. Fans will complain regardless of the utopia that is eventually achieved, so it doesnt serve anyone to sit back and not take a few leaps of faith. Bunt has one thing that has improved steadily over the last year, and that’s the collector part of the game. Its time to use some fun packs to really get that sector of the game energized while things get sorted out with points. Again, I realize there are a lot of issues in the game that some users experience on a daily basis. Android users especially. I dont want to discount many of those challenges felt by the user base. Personally, there really isnt anything I can offer in that manner other than complaining without knowledge of the situation, so ill hold off. These are more meant for content over gameplay.